What plans have you made for Tuesday 5th June this year? 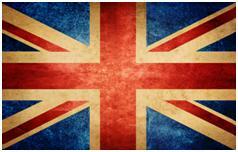 How will you be spending the Queen's Diamond Jubilee celebrating a fantastic 60-year reign on the royal throne? Street parties? Fun and games for everyone. JosyRose have a variety of products ideal for the magical occasion, check the whole collection out here, and take a look at some of our favourite products! 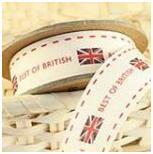 The Best of British Ribbon is perfect for the occasion and will provide the ideal retro and vintage edge. This patterned cream ribbon is only £3.49 per 3 metre rol1 and is made from 100% polyester and features a printed red motto with additional Union Jack flag images. Other ribbons in this collection include the Made in Britain Ribbon, Solider Ribbon and the Queen of Hearts Ribbon plus many more. The Jubilee Elastic Trim will add the perfect patriotic twist to your events on the special occasion and is sure to make your sequin crafting a lot more interesting! At only £2.99 per metre roll you can't go wrong. Do you need it for a big project? 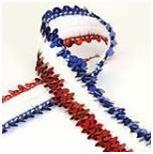 If so bulk buy your Jubilee Elastic Sequin Trim for only £56.06 for a whole 25 metres! Fantastic isn't it! 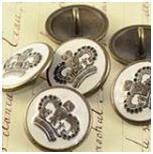 Add an aspect of the occasion onto your outfit for the day with these JosyRose Enamel Brass Military Buttons, guaranteed to provide royal glamour to an outfit that was otherwise plain! These intricate enamel buttons come complete with shack loop backing and are only £0.75 per piece or grab yourself 10 for only £6! Let JosyRose prepare you for the spectacular occasion!